Day trips to Phi Phi from Phuket are in the top 10 things to do in most peoples stay on the island. Phuket has a wonderful character itself but when you combine it with day trips to Phi Phi or Phang Nga it really is a world class holiday destination. Day trips to Phi Phi from Phuket go every day of the year and take you from the west coast beaches like Patong, Karon, and Kata, up over the Phuket Highlands and down to the plain on the east side. Passing through the old capital of Phuket, 'Kahtu', and skirting Phuket Town you come to Rasada Pier, the main departure point for cruisers to Phi Phi. The Cruisers take you out past Maiton Island in to the southern reaches of Phang Nga Bay and then you are just surrounded with views of over 100 islands to the north, south and east. It really is a brilliant sight. Soon after leaving Phuket island you get a glimpse of Phi Phi Island cliffs, half submerged on the horizon. As you continue east, these cliffs rise up out of the water until the ferry reaches their shadowy sides. 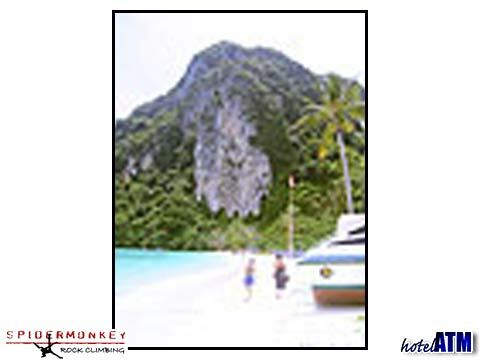 All tours take you to see Maya Bay, the location where the movie 'The Beach' was shot starring Leonardo Di Caprio. Going past the south of the island you come to Loh Samah, Pi Ley, and Viking Cave before heading to the main pier at Phi Phi Don. All tours combine the obvious sightseeing high spots and get you snorkeling at the, almost 20km of snorkeling reefs that surround Phi Phi. Many tours head to the main Phi Phi Don Village under the cliffs to take in the extraordinary atmosphere of delightful beaches and a thriving tourist market village. See all the Day trips to Phi Phi from Phuket for the fully inclusive tours here. The day trips to Phi Phi from Phuket leave the hotel at 7.30 am and the ferry leaves Rasada pier at 8.30 am. The cruise returns from Phi Phi at 14.30 to get you back to Phuket at 4 pm and the hotel at 5pm. It is a long day with some great hours on the cruise boat taking in all the key locations, a chance to snorkel on some of the best reefs in Thailand and get to see a world famous location. The large sea going vessel 'Sea Angel cruise' to Phi Phi from Phuket is popular. 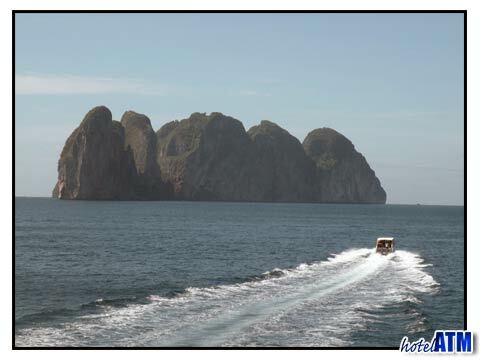 The day trips to Phi Phi from Phuket by speedboat are for those who love the rush of speed over water, who want to get to Phi Phi fast, those who want to spend as much times as they can out on this wonderful set of islands. The speedboat crossing time is only 45 minutes compared to the cruise boats above which take 1 hour 30 minutes and gives you more time on Phi Phi as well as a more varied exploration of the different beaches and inlets. Smaller speedboats can get to place where the larger cruisers cannot. The main speedboat trip Phuket Phi Phi. From May to October the weather is dominated by westerly winds that come off the Indian Ocean. In June and September the monsoons are at their height and these months get a better day trip experience if you take the larger cruise boats as opposed to the smaller speedboats. As a day trip, it is possible to delay the trip, with 48 hour notice, if the weather is not looking right. Although 'low season’; is from May till the end of October, the majority of the days in the months of May, July, August and October are good months to do day trips. Koh Phi Phi Weather, Weather radar and forecast. The main Dive day trips to Phi Phi from Phuket spoils the diving enthusiast with a 3 dive day experience. Leaving Chalong Bay Phuket, the dive boat heads out to Phi Phi Shark Point to dive the King Cruiser wreck, a car ferry that went down in the 1990's. Just 500 meters from this sight is Shark Point famous for its leopard shark and Anemone Reef close by again is covered with a stunning garden of Anemone. Koh Doc Mai is the final dive site in a normal dive day and this is a quiet isolated island rock on the way back to Chalong. See more on this 3 dive day from Phuket here.